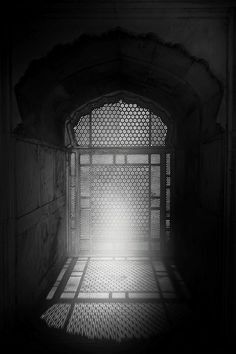 Photo Credits: Dave Morris – Creative Commons license. 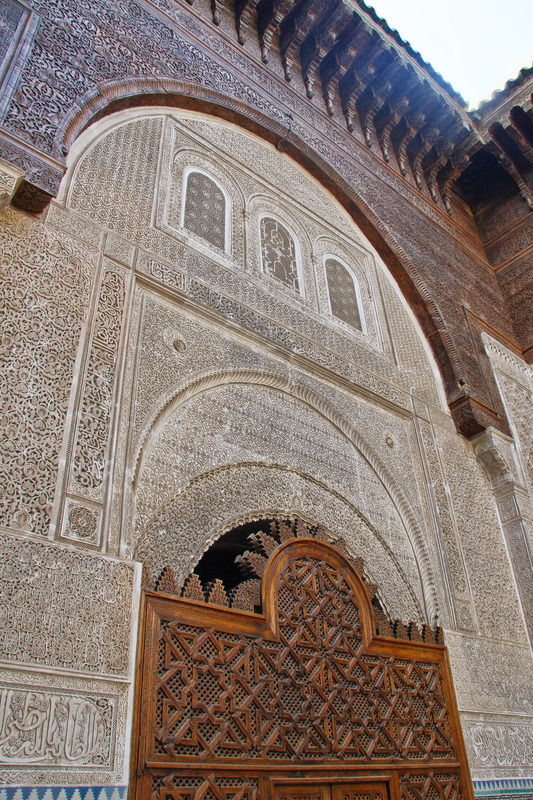 The al-Attarin Madrasa was commissioned by the Marinid Sultan Uthman II b. Ya’qub, Abu Sa’id (r. 1310-31) in 1323/723 AH and completed in 1325/725 AH. 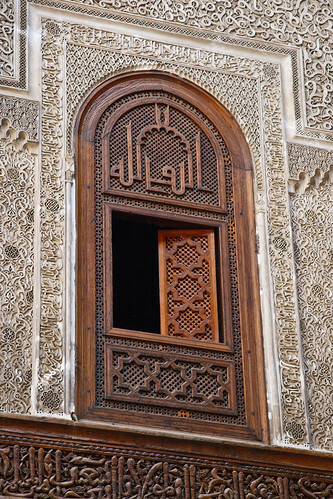 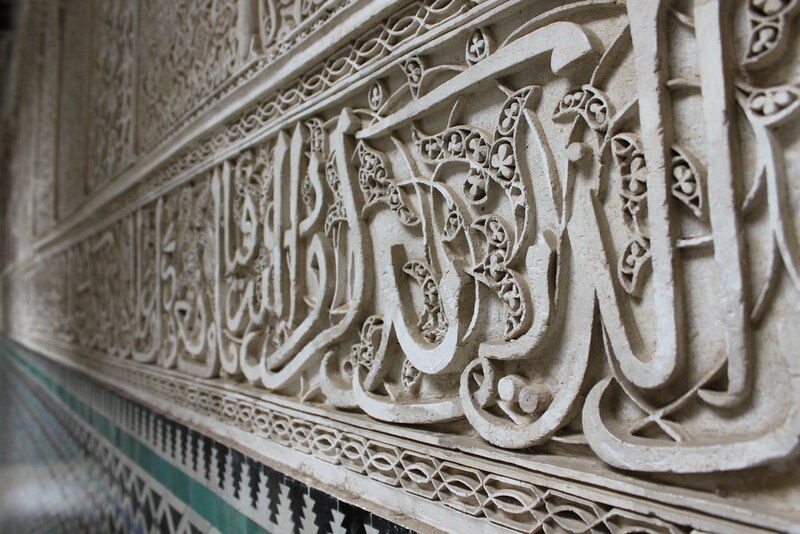 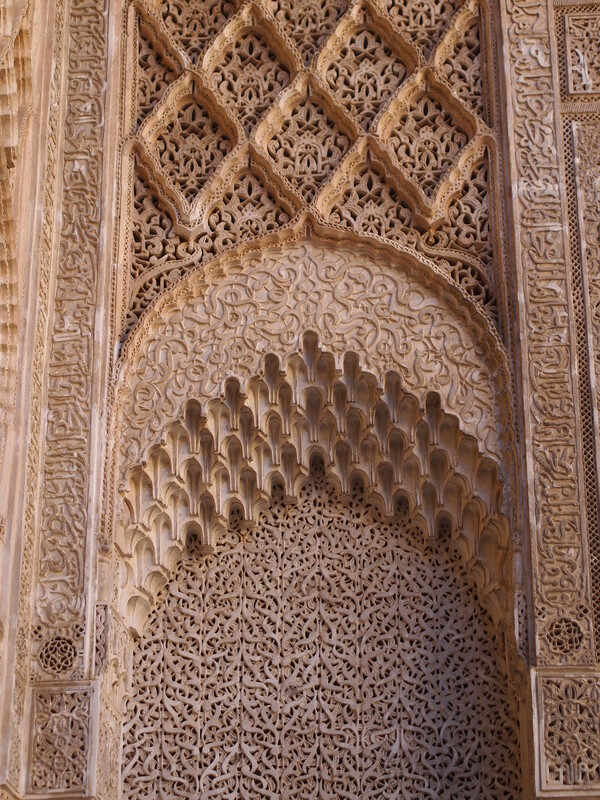 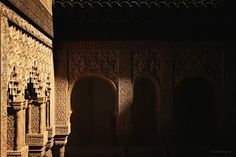 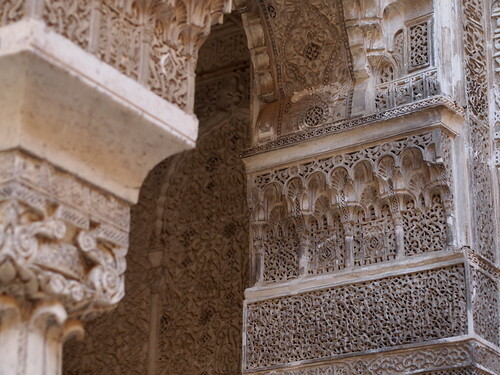 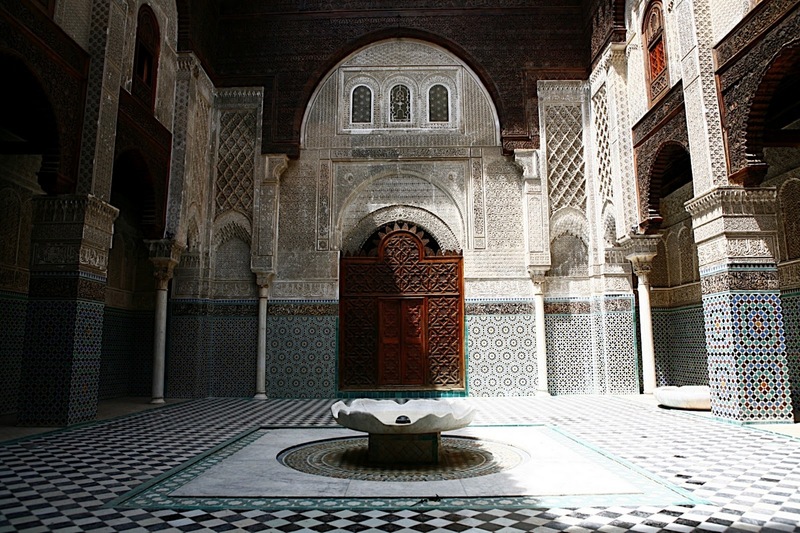 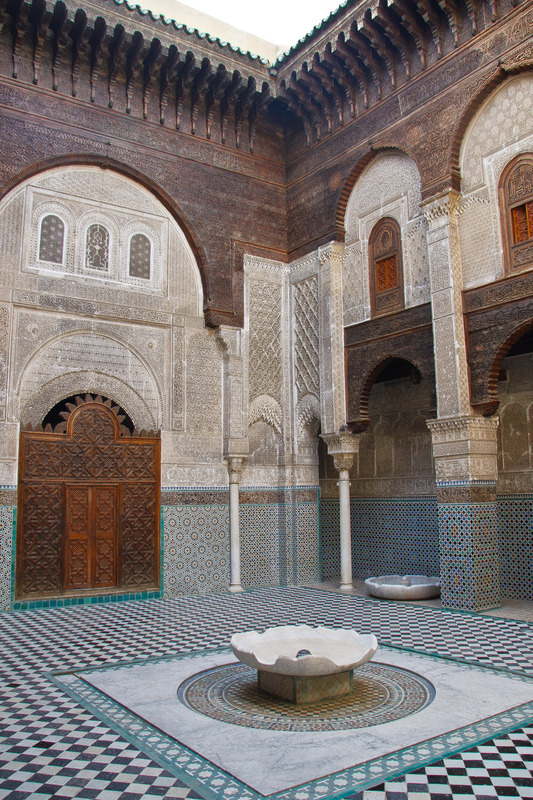 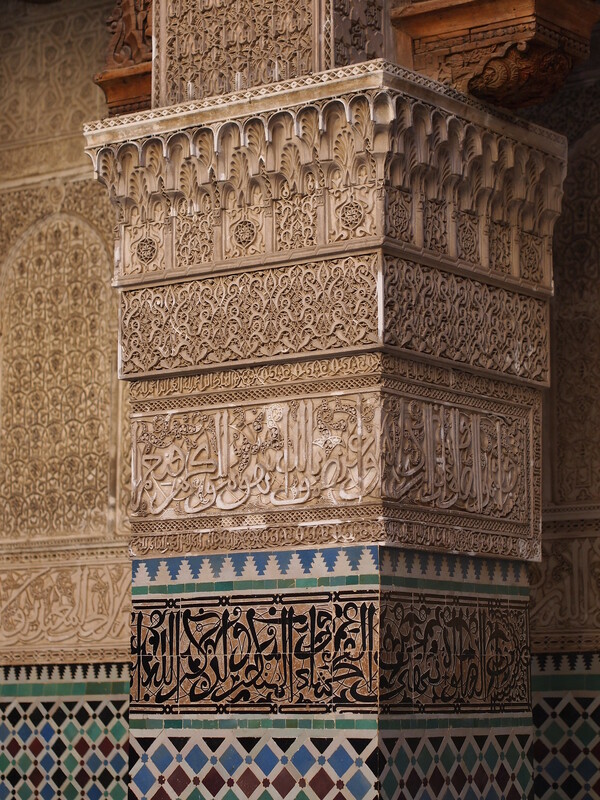 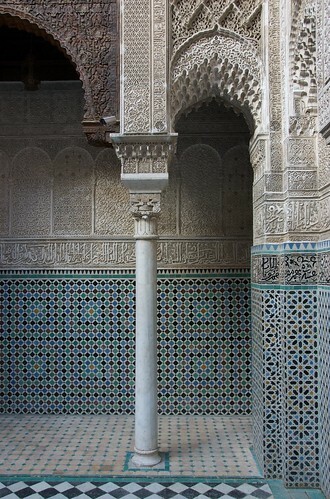 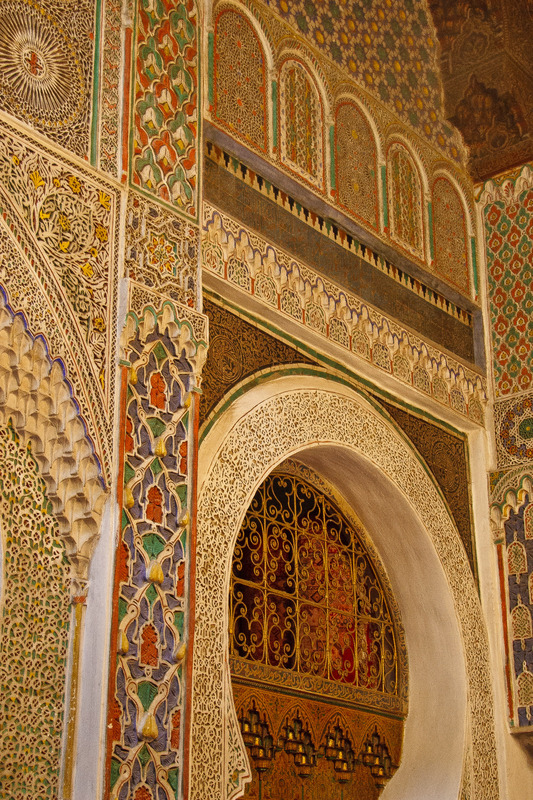 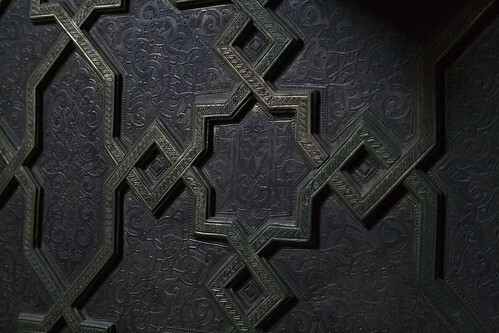 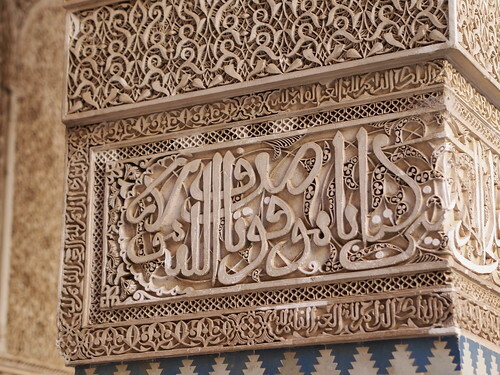 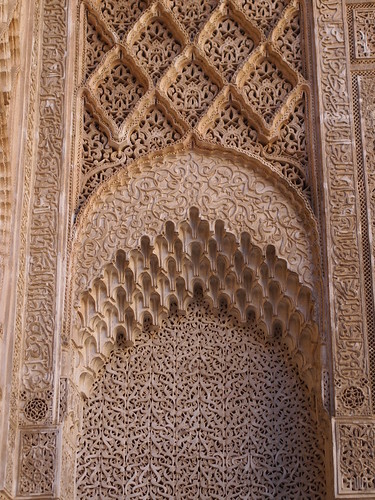 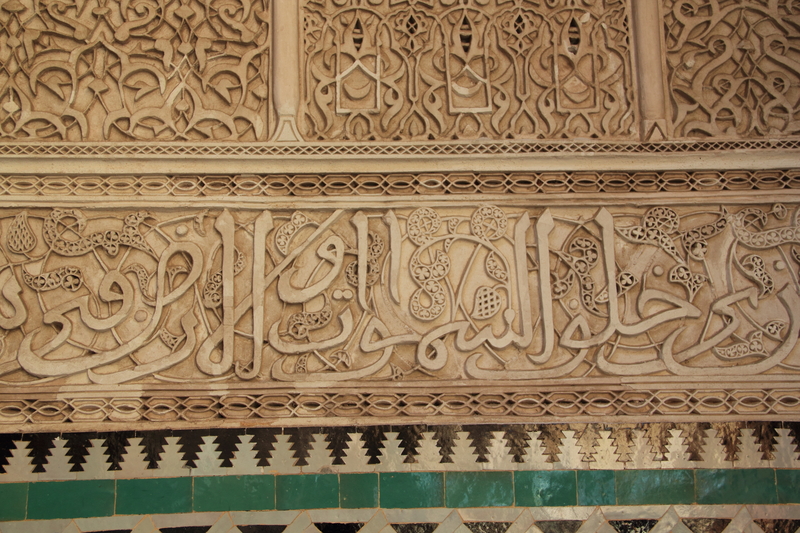 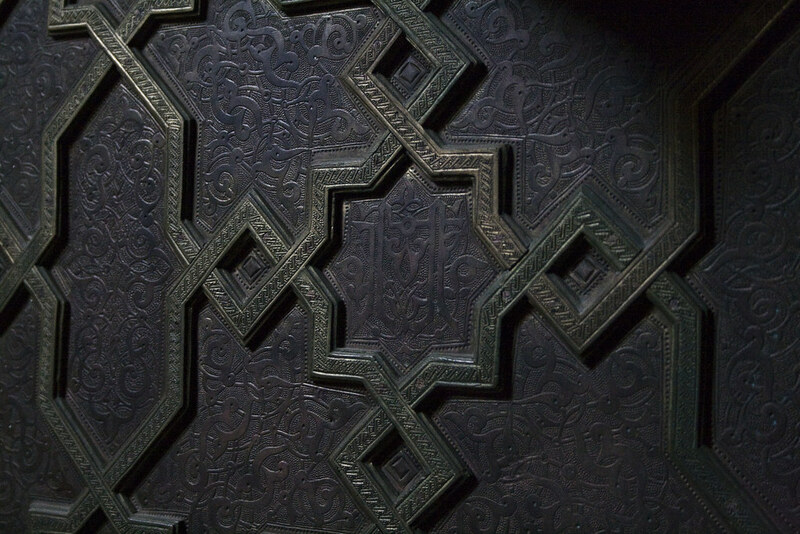 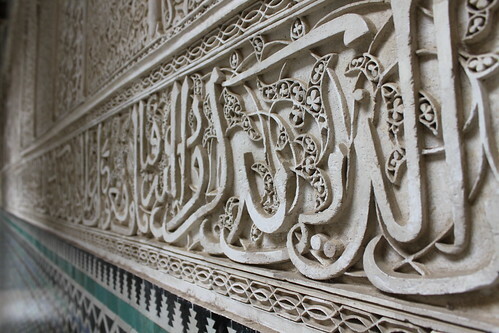 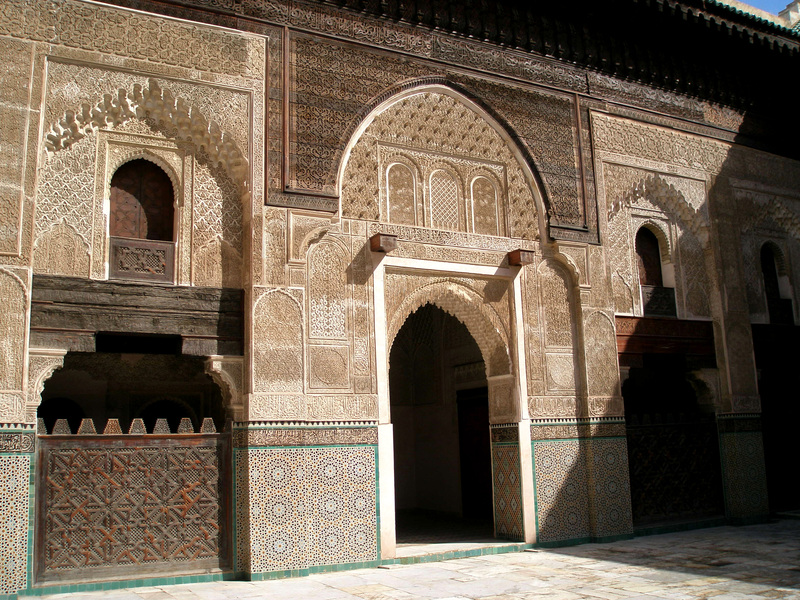 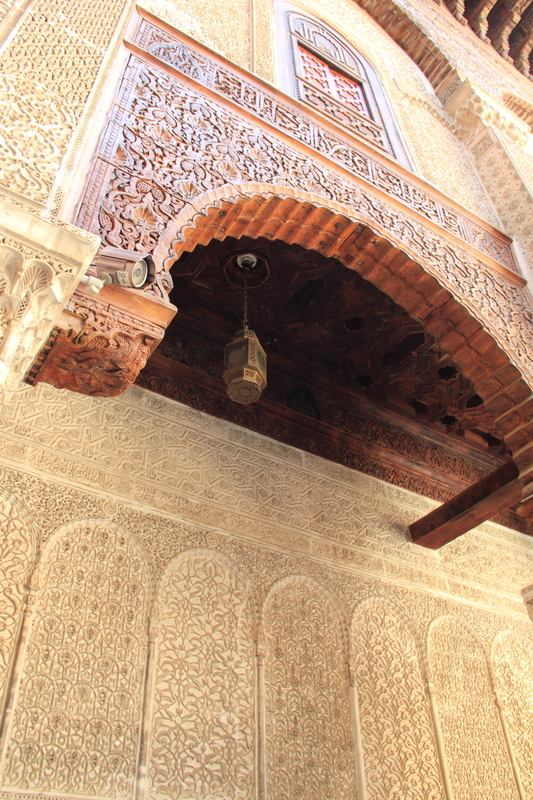 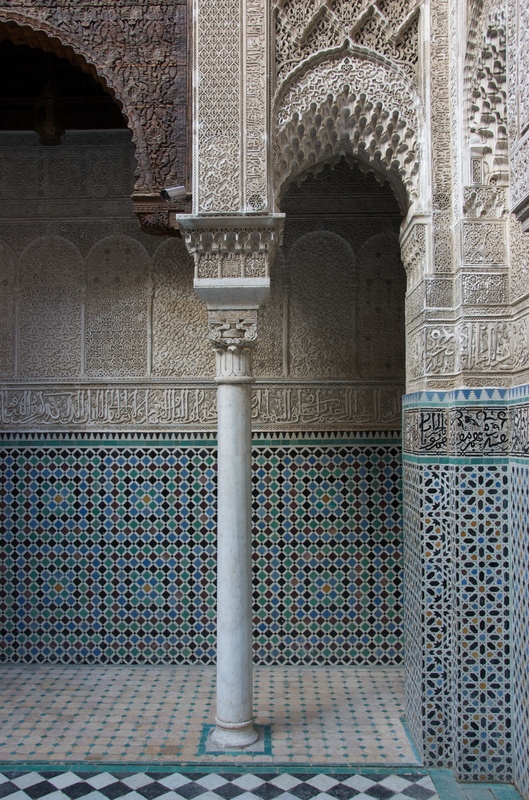 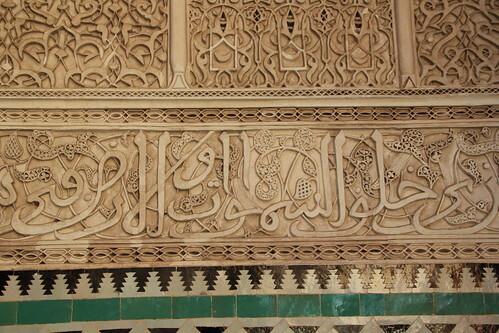 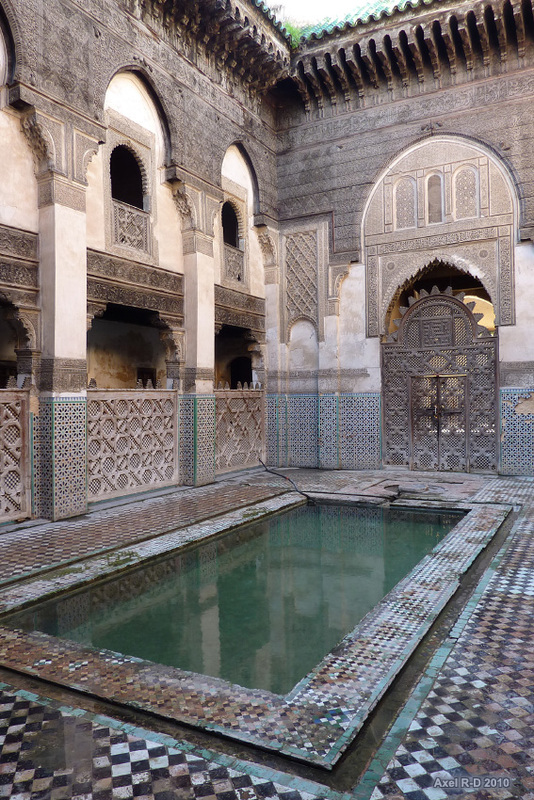 It is located in the spiritual centre of Fez, near the Mosque of al-Qarawiyyin. 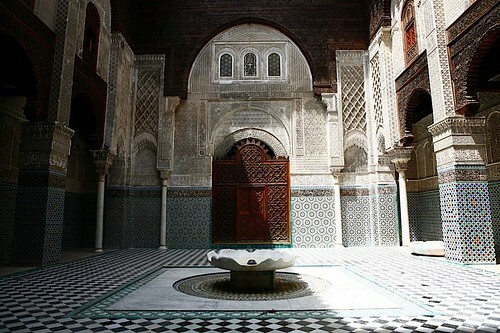 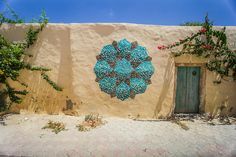 The madrasa’s location at the entrance to the spice and perfume market gives al-Attarine, the madrasa of the perfumers, its name.